Communications Director of the International Monetary Fund (IMF) Gerry Rice says that the Fund hopes that a draft law on the anti-corruption court in Ukraine, which has been submitted by Ukrainian President Petro Poroshenko, will be brought in line with recommendations by the Venice Commission and the obligations undertaken by Ukraine under the cooperation program with the IMF. "The IMF-supported reform program in Ukraine has focused on corruption and governance right from the start. From the very beginning, given its macroeconomic implications, the establishment of the anti-corruption court, consistent with the Venice Commission's recommendations, has been an essential part of the program as I think you know," he said at a briefing in Washington, D.C., on Thursday, January 18. Read alsoIMF criticizes Poroshenko's draft law on Anti-Corruption Court"The letter that was sent [by IMF Mission Chief for Ukraine Ron van Rooden] to the authorities [head of the Presidential Administration of Ukraine Ihor Rainin] expressed staff's concerns about the consistency of several provisions in the draft law with Ukraine's commitment under the program and the recommendations of that Venice Commission that I mentioned. Now we hope that the authorities take these concerns from IMF staff into account, and that the draft bill is amended between readings in parliament," he said. "In terms of the next review, I think the issue of anti-corruption and what I've just described needs to be set in a broader context. As always with any review there are usually a number of issues, a range of issues that are discussed and I'm sure that's going to be the case with Ukraine as well," he said. On December 22, 2017, Ukrainian President Petro Poroshenko submitted to Parliament a draft law on the High Anti-Corruption Court (HACC). The head of state also registered in the Rada a bill on amendments to the law on the judiciary and the status of judges. Both bills were designated as urgent. The Venice Commission says that the only way to fight top-level corruption in Ukraine is to swiftly create a specialized anti-corruption court as envisaged by the law on the judiciary and the status of judges. HACC judges should be selected in a transparent procedure with the participation of the international community. 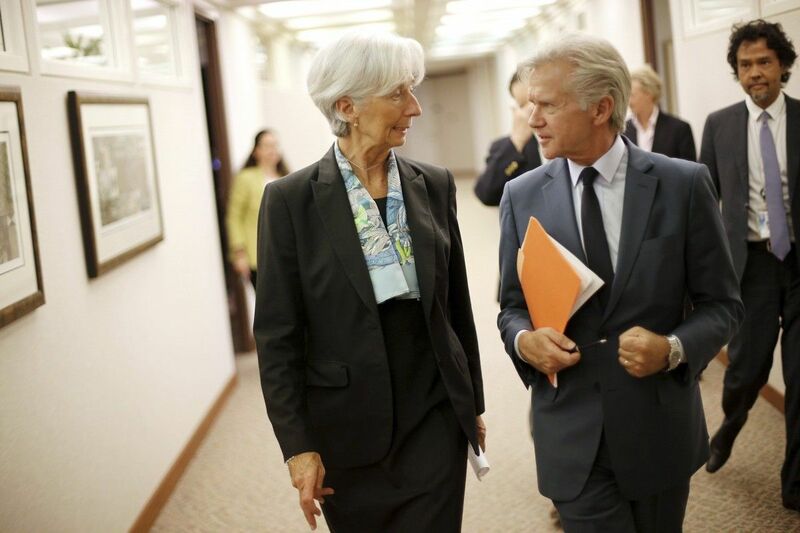 The creation of the HACC is one of the conditions for continued cooperation with the IMF. In turn, the press service of Poroshenko's administration insists that the president-proposed draft law on the High Anti-Corruption Court had been developed in accordance with the Constitution of Ukraine and was in line with the Venice Commission's recommendations. Later, on January 16, Poroshenko told foreign diplomats the legislation could be amended after a first vote in parliament to make it more effective.